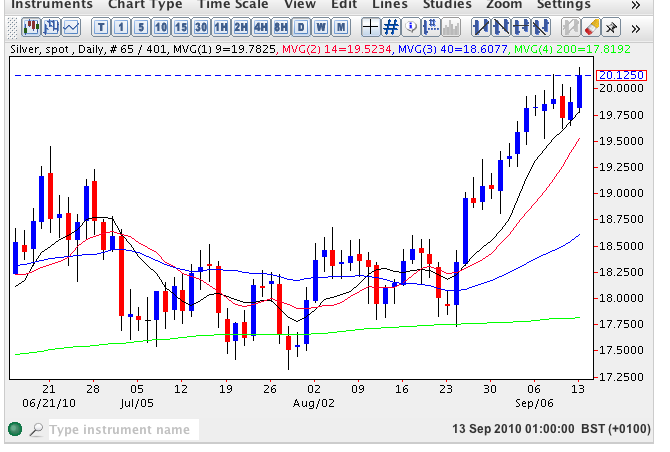 A detailed analysis for silver can now be found at my new silver futures site. Today’ s push higher aided and abetted by positive economic data from China and risk on appetite from investors who continue to push equity markets to fresh highs. Chinese data boosts metal prices.